Our mission is to give all children the chance to read and succeed. Empowerment is the foundation for all of our work. Empowerment is about breaking down barriers, building on strengths, and creating opportunities from those strengths. It is that positive force that carries hope and opportunity and creates genuine possibility and results. Make Way for Books honors and celebrates the many perspectives, languages, cultures, and funds of knowledge that children and families possess. We work to ensure our staff reflects the children and families we serve and we build on the diverse strengths of families in our community to create lasting change for our youngest children. Twenty years ago, Make Way for Books’ founder Dr. Mary Jan Bancroft found that many of the preschools and childcare centers serving economically-disadvantaged children in Tucson did not have quality books and literacy resources. In 1998, Mary Jan founded Make Way for Books and with the support of six volunteers, she began providing books and literacy workshops at five under-resourced preschools. 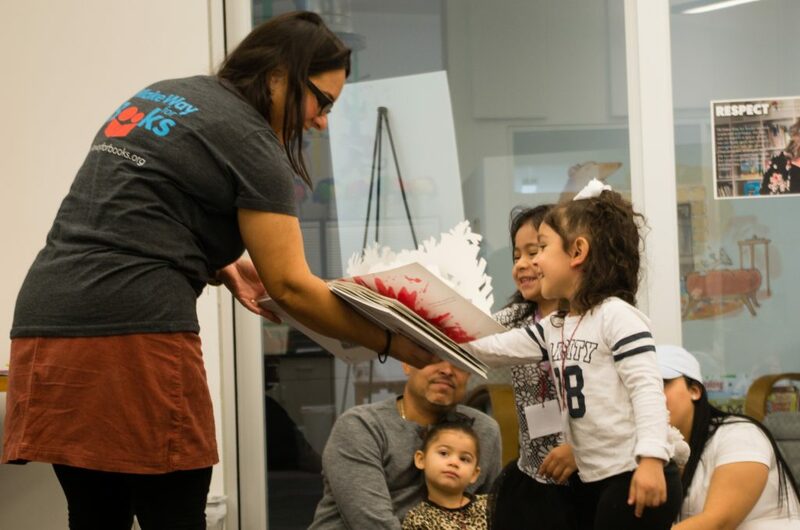 Today, Make Way for Books has a staff of 32, hundreds of volunteers, and last year we provided thousands of books and innovative programming to more than 30,000 children, families, and educators throughout southern Arizona. We have core values by which we do all of our work. Each year, Make Way for Books impacts the lives of more than 30,000 children, families, and educators throughout southern Arizona. We provide comprehensive programs that meet the diverse needs of young children, families, and educators in our community. Sign up to receive news about the work we do.